Graphic representation of the movement of the world’s commercial shipping fleet. As someone who isn’t directly involved in the shipping industry, the real time figures of freight amounts are astounding. At any given moment, 14.5 million shipping containers or 400 million tons of liquids might be floating somewhere out there! As the narrator says, “These ships, some of which are a quarter of a mile long, are the heavy lifters of the global economy. Since oil and gas cargo make up a large slice of this shipping pie, and we’ve already discussed how transporting oil and gas via pipeline compares to rail, it only seems fair that we do another bit of comparing and contrasting. 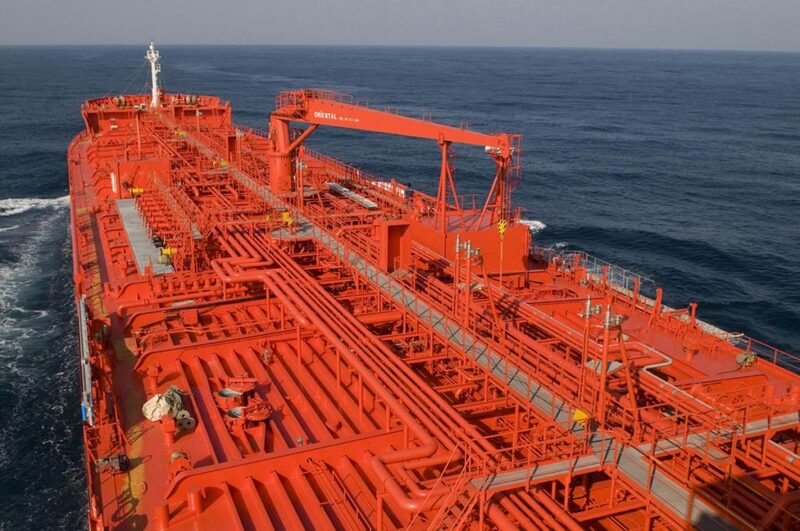 An oil tanker, also known as a petroleum tanker, is a merchant ship designed for the bulk transport of oil. To start, pipelines handle the vast majority of oil and gas transportation. Pipelines account for the shipment of about 71 percent of crude oil and petroleum products on a ton-mile basis, while tanker and barge transportation make up about 22 percent. The total carbon footprint of constructing a pipeline is roughly 1260 tons of CO2 per kilometer of 48-inch pipeline with 77 percent of those emissions coming from the production of the steel pipe itself. However, as one might expect, those emissions are dramatically reduced once the initial construction is complete. While pipelines seem to be a superior method of transportation for oil and gas products in many instances, there are times when ships are just more practical. At the end of the day, each mode of transportation serves a purpose, and comparing them can be a bit like comparing apples and oranges. The one certainty is that with our world’s energy needs, there is no doubt they are all here to stay for the foreseeable future.